One bedroom pet-friendly San Felipe holiday rental condo in La Hacienda community with private beach and swimming pool. Online calendar - book online 24x7. If your wish is for peace, quite, beauty and a beach this is the place for you in San Felipe. Well furnished one-bedroom La hacienda, San Felipe Mexico, holiday rental condo, this unit is available for daily, weekly and monthly rentals. 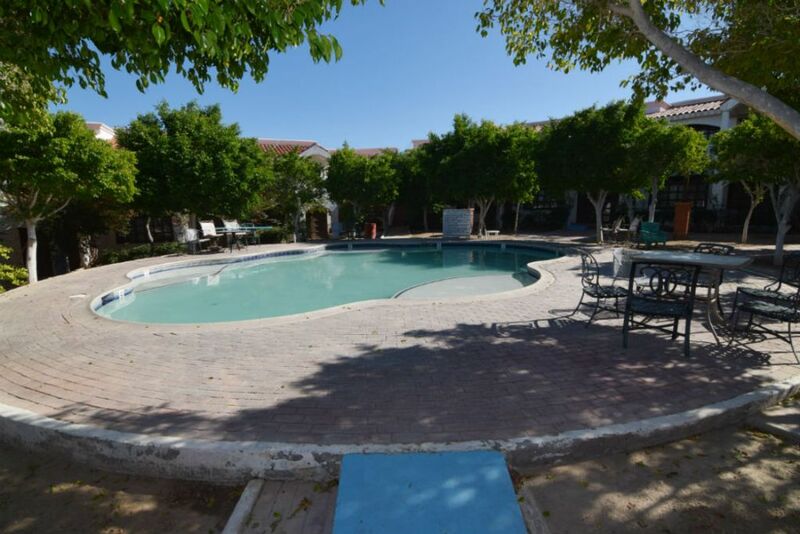 Located the ground floor, you have easy access to the swimming pool and garden. The king bed in master bedroom comfortably sleeps 2 guests. Bring an air-bed and up to 4 guests maximum are welcome.